With the newly developed FAPI-SWITCH series, we have succeeded in designing deflection pulleys in a lightweight system design with an unprecedented smoothness and smoothness of running that set new standards in the belt grinding process. Due to the flexibility, also with regard to different dimensions, belt elephant machines of all brands can be equipped with these deflection rollers. Our new type of return pulley is the first return pulley in a system construction, i.e. the components of the return pulley can be screwed together easily. In case of one part failing this can be exchanged very quickly by simply loosening the screw connections. For example, the complex “bushing” of the return pulley or complicated exchange of the bearings are now a thing of the past. Due to an intelligent bearing of the return pulley the quietest possible running and free movement during processing are guaranteed. Friction between the return pulley and its axle are minimised by the intelligent bearing. 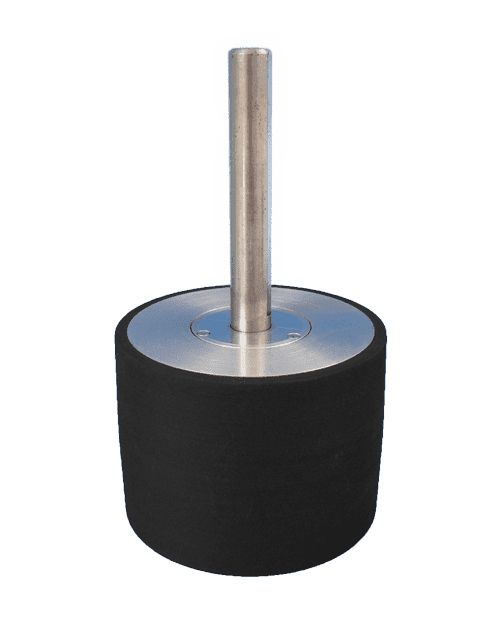 Additionally, all Picard return pulleys are dynamically balanced prior to dispatch and this also contributes considerably to the running quietness and free movement of the return pulley. From a design perspective it is necessary to consider that the return pulley is closed flush on both sides. The grinding dust that is produced during the belt grinding process cannot collect inside the return pulley due to this design and is therefore unable to cause any imbalance. Our return pulleys are produced exclusively from high quality aluminium. The use of aluminium results in an enormous weight reduction in the construction of the return pulleys. Less weight or pressure on the bearings of return pulleys and machines leads to an extended service life of the systems. 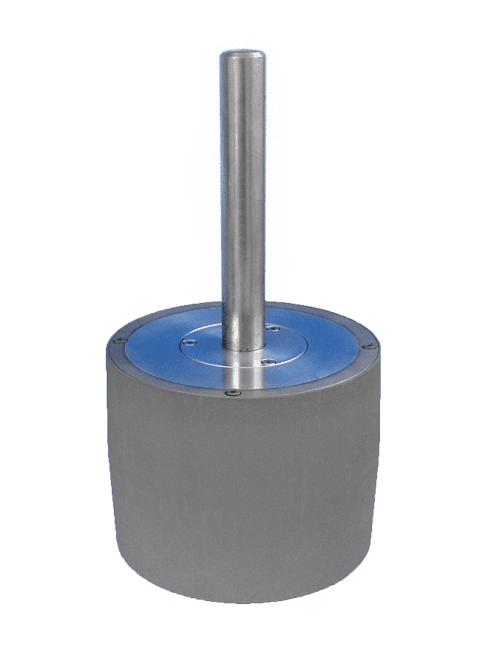 An additional advantage of the aluminium design is that the return pulleys comply with the specifications of BGR 109 (brushing, grinding and polishing of aluminium) and can therefore be used for aluminium grinding without any problems. Deflection rollers of the FAPI-SWITCH series can be coated several times. In order to guarantee an optimum abrasive belt guide while belt grinding, the coating of our return pulleys is convex by design. If our return pulleys are used in wet grinding, it is possible togroovethe return pulleys. The risk of aqua-planing effects during wet grinding will entirely be avoided. 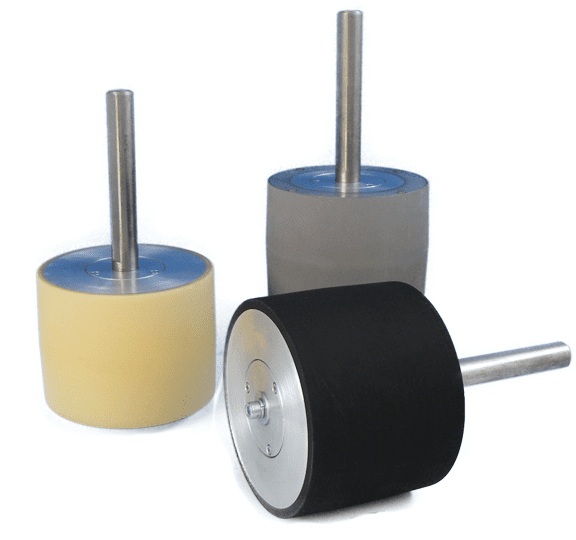 We produce our return pulleys in a wide range of diameters and widths. The standard dimensions can be supplied within just a short period of time from stock. During development of the return pulleys we placed our major focus on quality, customer benefits and an economical design. With the new return pulley FAPI-SWITCH we succeeded in achieving a balancing act between quality and customer benefits on the one hand, and an economical price structuring on the other. Companies often use return pulleys without a coating, e.g. pure metal return pulleys. Problems arise with these return pulleys after a certain period in use or with the abrasive belt guide. With the deflection of the abrasive belt on the return pulley the grinding belt grain namely presses through the abrasive belt backside and on to the surface of the return pulley. After some time the running track of the abrasive belt forms a trace on the metal body of the return pulley. This effect is intensified if (very) coarse grains are used in the grinding process. With a worn return pulley, optimum abrasive belt guidance is no longer possible. As a counter-measure it is perhaps possible to rework/strip the metal return pulley once, however it usually reaches the end of its life cycle after a second period in use. It is for this reason that we always recommend using an ultra wear-resistant coating on the surface of the return pulley. The life cycle of the return pulley is increased many times over as a result of this. The coating does not wear out as quickly as with a metal return pulley. At the same time, costs for a recovering of the return pulley are very low in comparison to purchasing a new pulley. 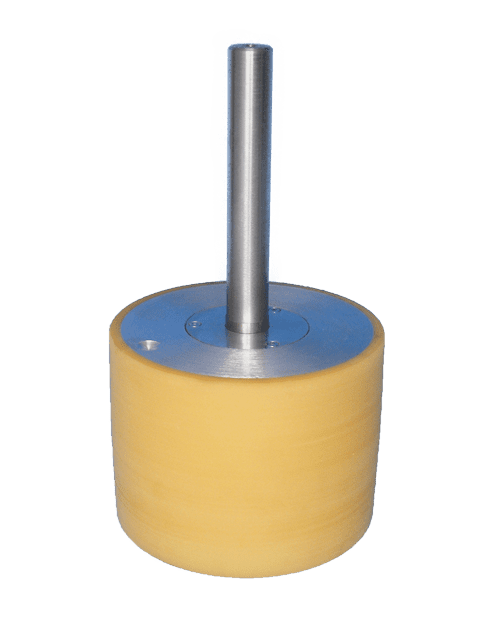 Deflection pulleys FAPI-SWITCH are manufactured as standard with a Vulkollan® coating. The highly abrasion-resistant Vulkollan® elastomer greatly increases the service life of the idler pulley. The idler pulley FAPI-SWITCH with NBR coating is an alternative to the Vulkollan® coating. However, the service life of the idler pulley with an NBR coating is significantly shorter than that of the Vulkollan® coating. The idler pulley FAPI-SWITCH LONGLIFE was designed for demanding applications. The coating of the idler pulley FAPI-SWITCH LONGLIFE has a multiple service life compared to conventional idler pulleys. Due to the very stable coating, FAPI-SWITCH LONGLIFE deflection rollers can also be used optimally if the grain side of the abrasive belt runs over the deflection roller coating.